This entry was posted on May 31, 2011 by ScanTool.net Team. Sparkfun.com, the world's most popular electronics hobbyist site, has just released their OBD-II Development Board. The board is based on our own STN11xx chip family, and has all the electronics necessary to interface with any OBD-II compliant vehicle's ECU. 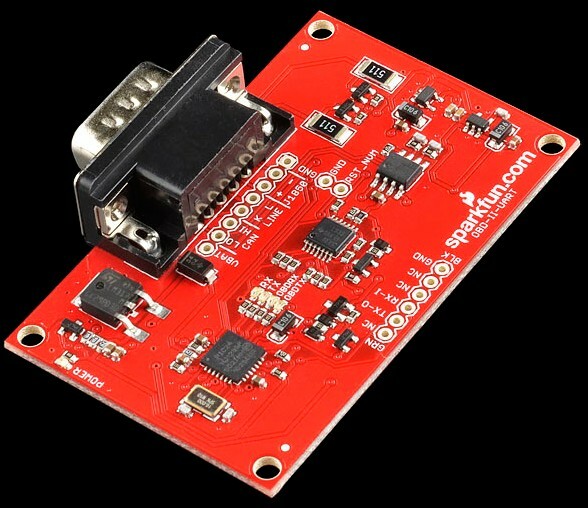 Sparkfun designed the board to be compatible with their existing USB and Bluetooth development boards. We're big supporters of any STN1110 development, and are excited that Sparkfun has introduced a product that makes it easy for hobbyists, prototypers, students, engineers, or anyone interested in OBD-II to get their project off the ground.